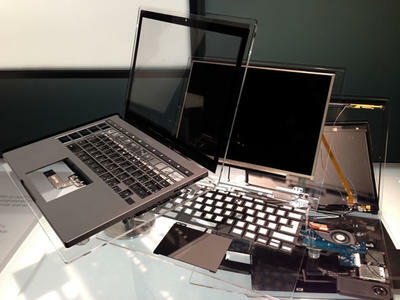 $1,300 Chromebook Pixel: What is Google Thinking? 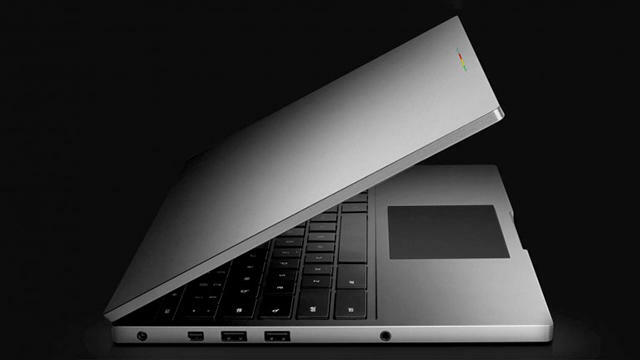 Google’s new Chromebook Pixel is, in a word, stunning. The hardware’s form factor is beautifully designed — by the company itself, not some third-party partner — and many of the details are droolworthy: i5 processor, a touch display with impressively high resolution (even more than Apple’s Retina Display) at 2,560 x 1,700 packed into 12.85 inches, SSD, and no less than 1 TB Google Drive/cloud storage for three years. That’s not to say it’s a perfect device. What’s up with only 4GB RAM? And two options for local storage, a measly 32 GB or 64 GB? Well, I suppose cloud users wouldn’t really need more. So bearing that in mind, the prospect of this laptop might be kind of tempting… until those eyeballs land on the price tag. $1,300? For a glorified web browser in a fancy package? Google, what are you smoking? That’s, in a word, insane. Who is this device intended for? Mashing together pro-level hardware plus entry-level software doesn’t exactly make this clear. Most people who are tempted by Chromebooks willingly accept a scaled-down, web-only experience for a budget price tag. And for that, they have worthy options, like Samsung’s $250 11.6-inch model. That’s much more attractive to the education sector, where Chromebook adoption is growing. The company reported a couple of weeks ago that 2,000+ schools are using Chromebooks to date, which is twice the number from three months prior. But this? There’s no way cash-strapped users or school districts could afford the Pixel. There’s another potential scenario, though: The Pixel could simply be intended as a showstopper, a luxury item that the company is foisting into the spotlight only to call attention to the whole Chromebook collection. Fashion houses do this all the time. A designer will put out a diamond-encrusted bra knowing few would actually purchase the thing, but does so anyway to promote to the entire lingerie line. Chromebooks are doing relatively well compared to when they started, which is a trend that the company likely wants to continue. Sales were slow at first, but picked up steam when decent second- and third-gen devices hit the market last year from players like Acer and Samsung. Sammie’s latest has even taken up steady residence on Amazon’s laptop bestseller list since it launched over four months ago. And last month, Acer said that its Chromebooks made up 5 to 10 percent of its U.S. computer shipments since November, when the C7 Chromebook launched. According to IDC’s Q4 2012 PC sales figures, Acer shipped between 25,000 and 100,000 Chromebooks in the U.S. alone. For its part, Google has really hustled to get more people to try Chromebooks, from the early days in 2011, when it partnered with Virgin America to loan the laptops for in-flight passenger use, to recent initiatives to boost the number of Chromebook kiosks in Best Buy stores. It also scored deals with more partners, like HP and Lenovo. HP debuted its Pavilion Chromebook to the masses recently, and Lenovo is due to launch a ruggedized Chromebook for the education sector. Meanwhile, CDW announced plans to sell the laptops to businesses and schools. Tell us what you think: Is the Pixel one step in a category-defying development pathway? (And if there is a Chrome/Android hybrid in the offing, would you pay $1,300 to have one of the first devices capable of running it?) Or is this just an intricate marketing ploy? We’re taking theories down below in the comments.